Here you will find useful links to certifying bodies as well as to agencies and associations in the organic world. The Association Française Des Intolérants Au Gluten – the French Association for Gluten Intolerants, run by coeliacs or by parents of coeliac children. The association’s objective is to inform, assist and defend the interests of those who are gluten intolerant. To collaborate with medical professionals, government authorities, pharmaceutical laboratories, food manufacturers, manufacturers and distributors of gluten-free dietary products, catering professionals etc. To support research in the form of donations to GERMC ( (Groupe d’Étude et de Recherche sur la Maladie Cœliaque), who study and research Coeliac Disease. L’Association Française Interprofessionnelle de l’Olive, the French Inter-professional Olive Association was established in 1999. Agence Française pour le Développement et la Promotion de l’Agriculture Biologique. Established in November 2001, French Agency for the Development and Promotion of Organic Agriculture is a national information and action platform that is part of a dynamic strategy of development, promotion and structuring within French organic agriculture. 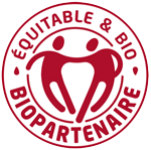 Bio Partenaire is a professional association and organic partnership that promotes the alliance of the values of Organic Agriculture and the principles of Fair Trade. Its aim is to affirm the role of SMEs as a driving force for development, working in close partnership with producers. The association supports companies in the creation and development of the Bio Solidaire and Bio Equitable sectors. A monitoring, control and certification body for organic farming products. Founded in 1991, Ecocert is the French specialist in the certification of products from organic farming. This website includes all the latest news from the Fédération Nationale de l’Agriculture Biologique des régions de France, which brings together the regional groups of agrobiologists. Bio à la Une is the top web portal sharing the latest news on organic alternatives. The Best Organic Product (Meilleur Produit Bio) award is a guarantee of flavour and quality. It is a clear label designed to assist the shopper. Iterg is the go-to site for knowledge, analysis, and information on oil and fat technology. The Food and Agriculture Organisation (FAO) is the dedicated United Nations agency that leads international efforts to eradicate hunger. A gateway site where you can find out more about organic agriculture. Mon Quotidien Bio brings together around twenty organic brands: Biocoop – Bioporc – Biosoleil – Bjorg – Bonjour Campagne – Bonneterre – Carte Nature – Danival – Delouis – Emile Noël – Jardin BiO’ – La Vie Claire – Le Picoreur – Les 2 vaches – Lima – Naturalia – Nature de France – Naturgie – Meneau – Priméal – Pro Sain – Sojade – Soy – Vitamont – Vrai. Every week, you will find information on the collective’s brands, cooking tips and advice, recipes and competitions too! Discover events and activities promoting organic products right across the country. The BIO Agency has created a Steering Committee dedicated to collective catering: the Action Committee for Organic Mass Catering. Its members are committed to supporting the development of the introduction of organic ingredients to the menus of mass caterers.